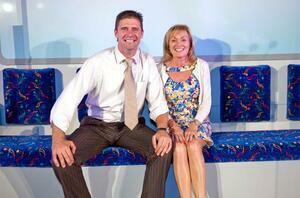 Niall Quinn and Mary Kennedy at the Dublin Bus Awards. He’d be thrown off our bus. Posted in Comics, Misc on 12:30 pm by September 22, 2010 .